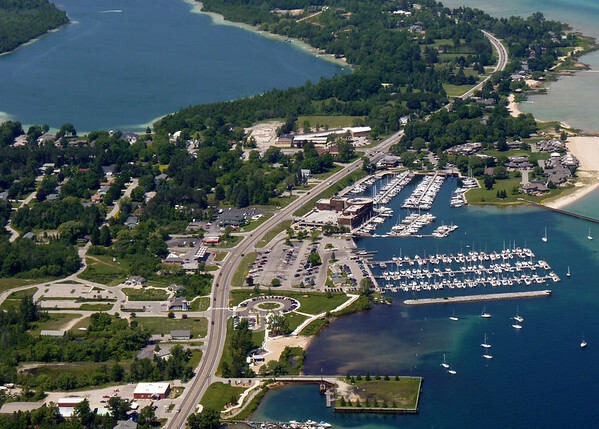 Submitted By: Virginia Postma From: Traverse City, MIchigan Description: Aerial view of the marina and the former Scott's Landing up M-22 leaving Traverse City, MI. We were flying in a Cessna airplane piloted a friend from Canada visiting the Traverse City area. The date the picture was photographed was June 23, 2011.